Hello friends! Spring is in the air, and that means fresh classes and a great time for yoga. Check out what’s coming up! This week: Classes and events — sign up below. Spring Break: Pop-up classes — sign up below. Back to School Yoga Camp (Aug) — sign up below. Added bonus? Many of these classes qualify towards earning BKY Rewards. Happy saving! Come to just the Kids class, just the Adult class or both (best value!). Same time, separate classes. This class qualifies towards earning BKY Rewards. Team yoga session for skaters of Mirror Images and Thomas Creek Skating Club. Tweens! Join us for an evening focused on reducing tension in our bodies. Yoga, craft, snack and stress relief. We’ll have fun with yoga as we develop balance, strength, and confidence in a nurturing environment. Yoga. Dinner. Disco ball. Relaxation. Parent perks. The best kids night out — perfect for siblings or friends! Yoga for You. Yoga for Kids. (Fairport). 6-7pm. Learn more. Team yoga session (Fairport). 6:30-7:30pm. Learn more. Victor Rec Center. 10-10:45am. Learn more. Tween Yoga + Stress Ball Crafting (Fairport). 6:00-7:30pm. Learn more. Perinton Rec Center. 10-10:45am. New session! Learn more. 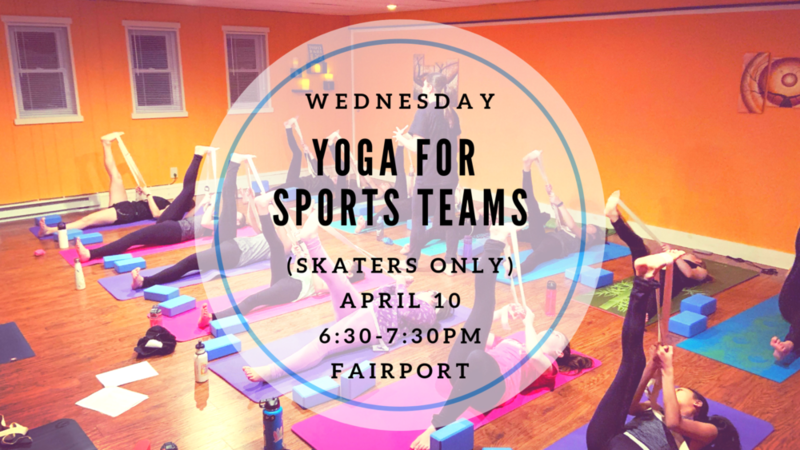 Friday Night Yoga Club (Fairport). 6-8pm. Learn more. A great morning yoga class over Spring Break. Perfect for siblings or sign up with a friend! Kids can enjoy Butterfly Kids Yoga while YOU head to an M/Body Barre or Circuit class just across the hall. August yoga camp qualifies towards earning BKY Rewards. Interested in other Butterfly Kids Yoga camps? Learn more here. July camp (Victor) sign up opens Monday, 4/22!